I just did an informal, but very scientific, survey. The results tell me that every human on Earth enjoys roast beef. Nevermind that my sample size was limited to every human currently in the room I’m in. Nevermind that I’m the only human currently in this room. Regardless of my study’s shortfalls, my results can still be applied to all of humanity. Isn’t scientific literacy great? Even if every human on Earth doesn’t like roast beef, I’m pretty sure that’s only because they haven’t tried it, or it was overcooked when they did try it. 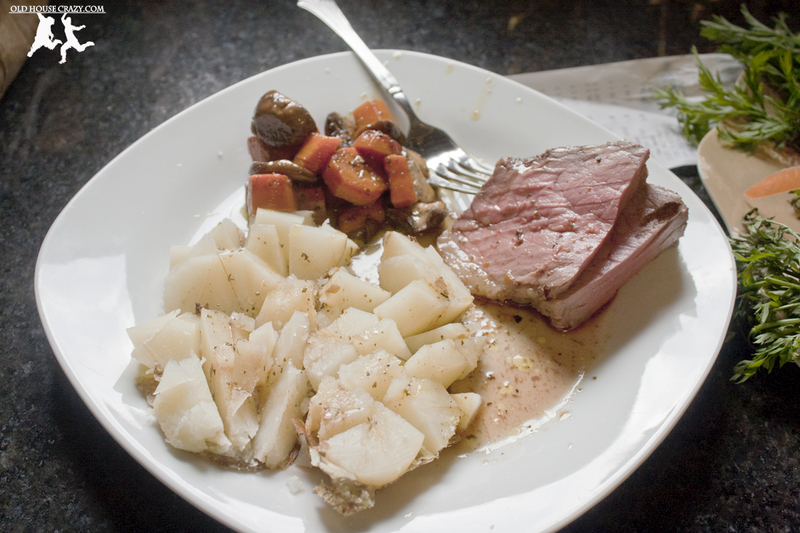 Personally, I’ve always loved a good roast beef dinner with potatoes and carrots (my Mom would disagree. I only started eating vegetables in my twenties). I’ve also always loved a deli sandwich with roast beef and provolone cheese. That sandwich is hard to argue with. The problem that Christy and I have run into is that roast beef is very expensive to purchase. 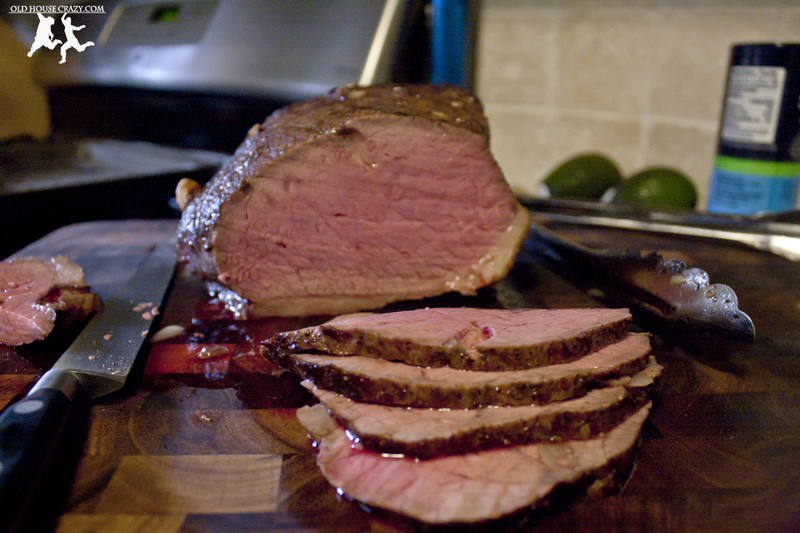 At a good deli counter, roast beef can be 12-15 dollars per pound or more. I’ve always wondered why it was so expensive, so I did a google search for recipes. There are many of them out there, but they all start with a big ‘ol chunk of beef roast. We used a 4 pound chunk of rump roast. If you’ve looked, you know that rump roast, rib roast, and the other big hunks of beef you could use for this meal are all pretty expensive. That’s the first major reason for the high price at the deli counter. 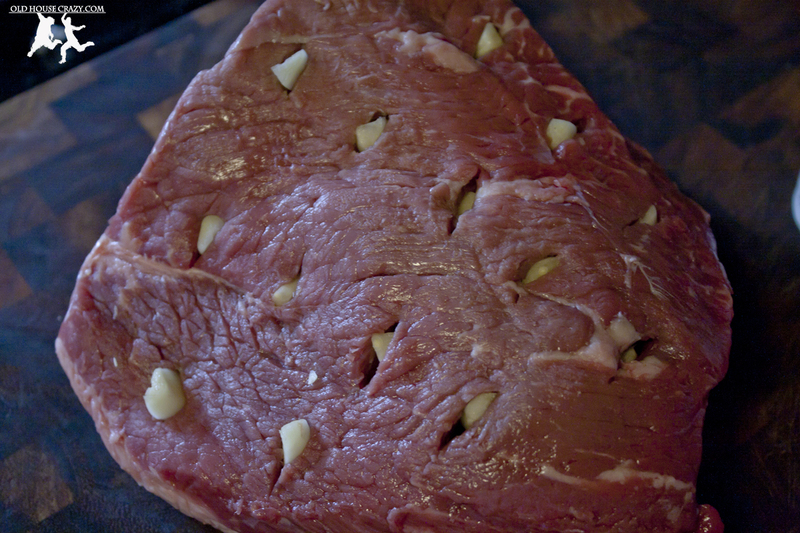 The other major reason for the high price at the deli counter is the preparation and cooking of roast beef. It takes a long time. 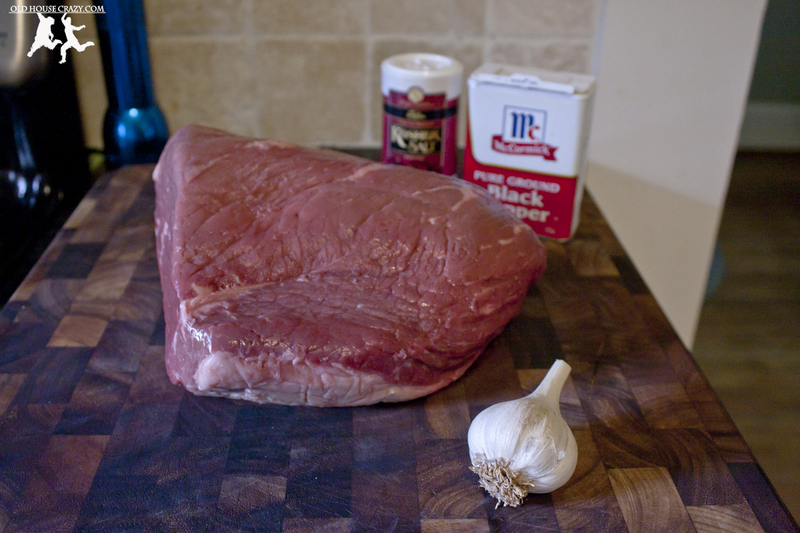 Below, you can find the recipe we used to make 4 pounds of roast beef with garlic for about 15 bucks. 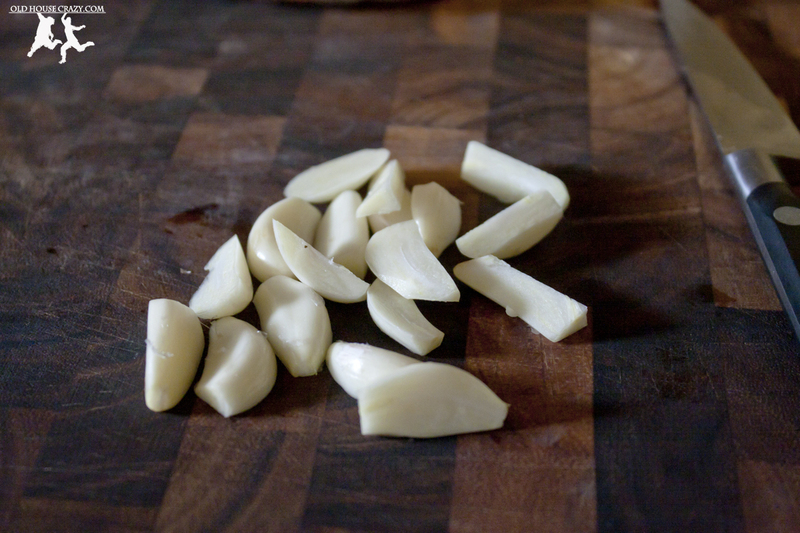 Start by cleaning the garlic cloves and slicing them into slivers so you get two or so per clove. 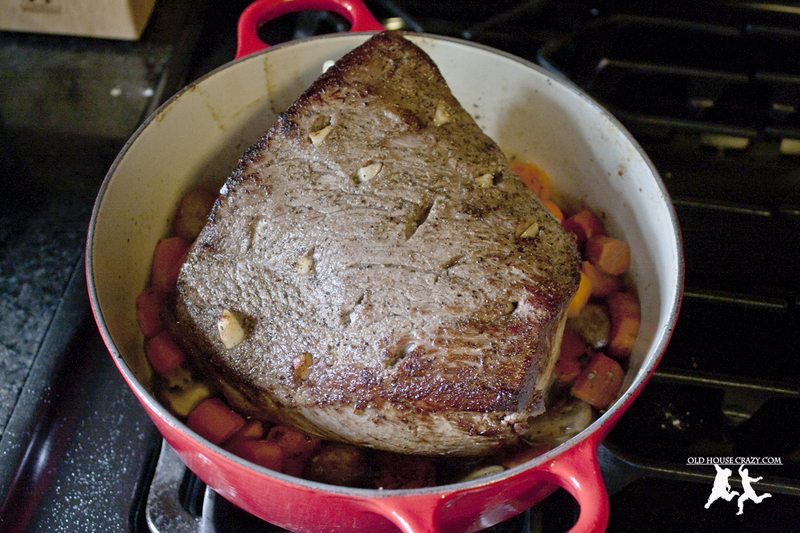 Then, use your knife to cut slits in the roast an inch or so apart and shove the garlic cloves into the slits. 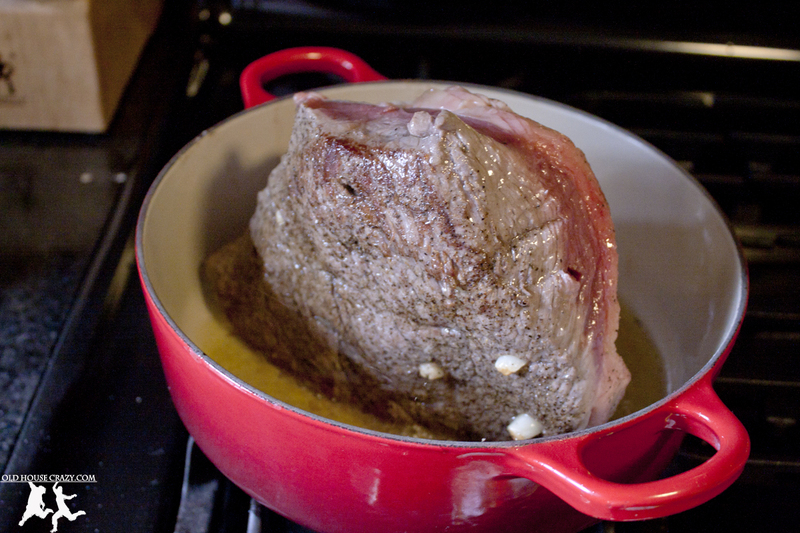 Next, you’ll put some olive oil into the heavy skillet and brown the roast on every side. 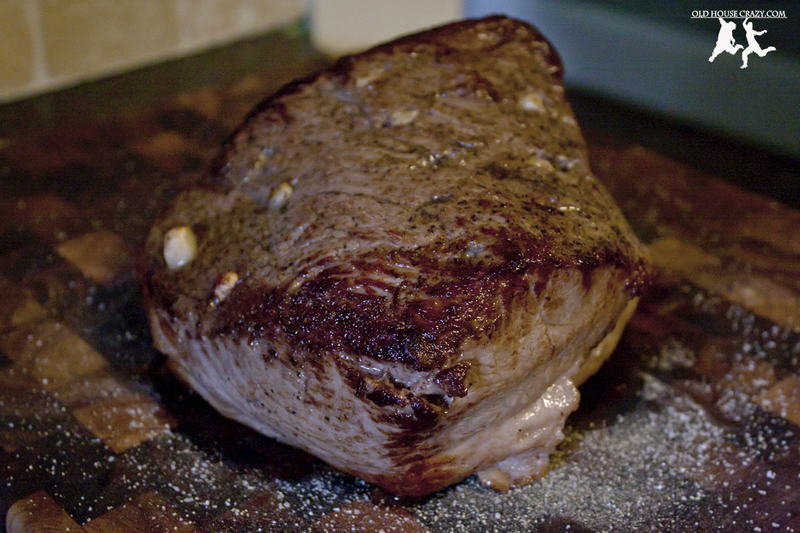 You’re looking to sear the meat on every surface to lock in moisture during the roasting. Preheat your oven to 225 degrees. 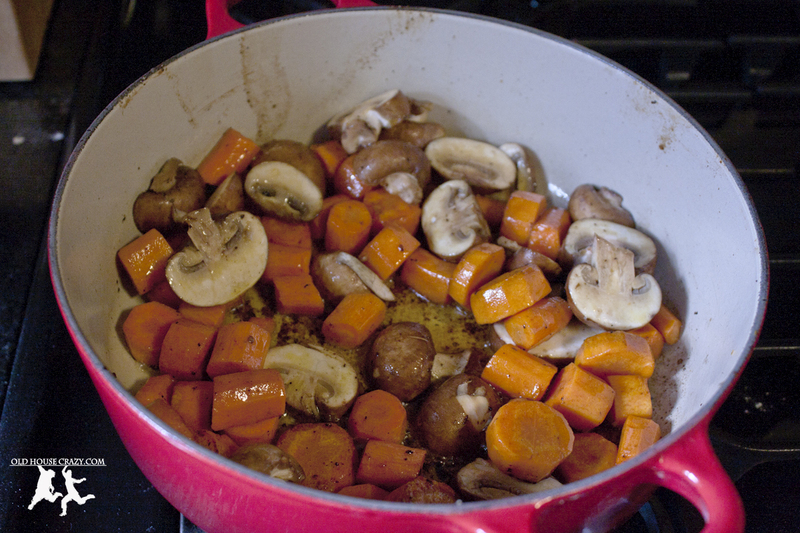 While the oven is heating up, brown some carrots, onions, taters, and mushrooms in your roasting pan or skillet. Once they’re softened up a bit, place your roast on top of the veggies, insert your meat thermometer, and place the whole pan into the preheated oven. This entry was posted in Better than store bought, Dinner, Food, Mood Boosters, Recipes and tagged dinner, Make it yourself, Meet and Potatoes, Roast Beef. Bookmark the permalink. Looks delicious! 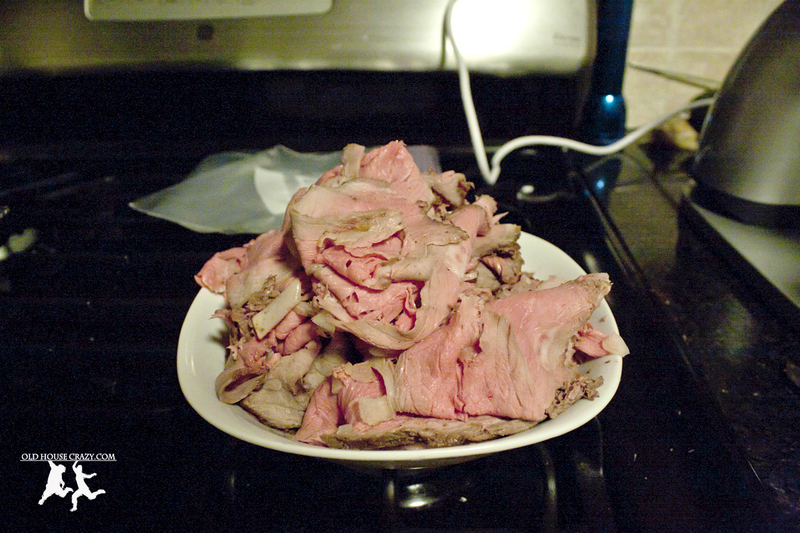 We’ve recently gotten into some roast beef sammies ourselves, and roasting it at home looks like the way to go. Wish we had an electric slicer though!